You know that fresh and clean feeling you get after a haircut and a shower? Well, we’d like to make your dog feel the same way here at Northlake Animal Hospital. We offer topnotch dog grooming services in the Lake Park, FL and Palm Beach Gardens, FL areas so that your furry friend can receive the treatment he or she deserves, all without having to do any of the work. We know bathing your dog and giving them a haircut can be pretty exhausting. When can you find the time to give your dog one? Fortunately, you don’t have to find the time because we’ll do it for you here at Northlake Animal Hospital. We have professionally trained and safety-certified dog groomers for your convenience. We not only want your pet to feel fresh and clean, but we also want you to be fully happy with their appearance. So, come in and allow us to do all of your dog’s grooming! Why is Dog Grooming Important? Dog grooming is not only important to the look and feel of your pet, but it’s also imperative to their overall health. 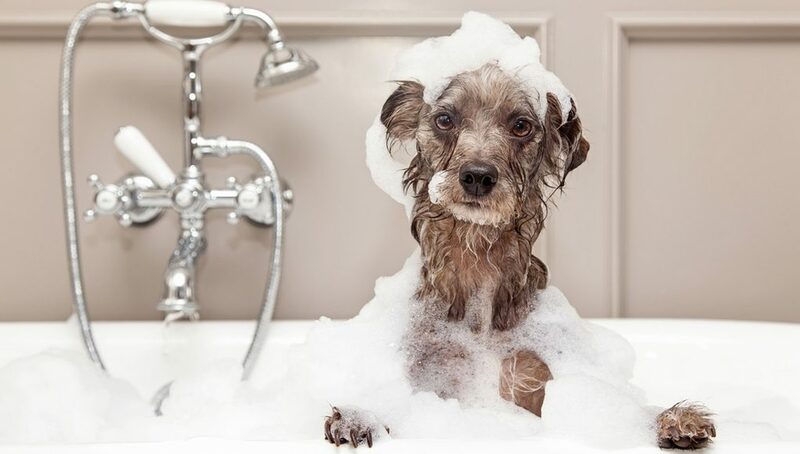 It maintains the cleanliness of your furry friend while keeping them looking good and feeling fresh. Grooming is essential for not only their appearance, but also for their physical well-being. It’s best to start grooming your dog when they’re a puppy, so they get used to enduring the grooming sessions! Brushing – Even if they have short hair, it’s still a great idea to brush your dog’s fur a couple of times a week. When you bring your dog to Northlake Animal Hospital, we’ll brush the fur to make it nice and soft, but we also suggest that you brush him or her at home, too. Brushing will not only help remove dandruff, dead hair, and dirt, but it will also help bring out the natural oils in their fur. Checking the eyes, ears, nose, and teeth – We want to make sure your little guy or girl is healthy! To do that, we’ll check their eyes to make sure they’re bright and clear, their ears to make sure they’re odorless and clean, their nose to make sure it’s moist and crack-free, and their teeth to make sure they’re clean and unbroken. Trimming and bathing – Whether you’re looking to trim their fur, nails, or both, we’ll do it for you! We’ll also give your dog a bath to clean off any trimmings. We know how important your pet is to you. As pet lovers ourselves, they’re important to us too! To learn more about our dog grooming services, or our pet wellness plans, in Lake Park, FL, Palm Beach Gardens, FL, and the surrounding areas, give us a call today!